Growing up, my cooking influences came predominantly from the Middle East / Mediterranean (Morocco and Israel) so we ate a lot of hummus! The staples of any of our meals were parsley, garlic, olive oil, coriander and paprika with lots of tomatoes and red peppers. So when I started roasting the peppers to make this dish, the nostalgia took me right back to my grandmother’s kitchen in Israel when I was a kid. Topped off with the parsley at the end, I may as well have been in 1988 for those few minutes! I closed my eyes and inhaled the beautiful nostalgic smells. I just love hummus. 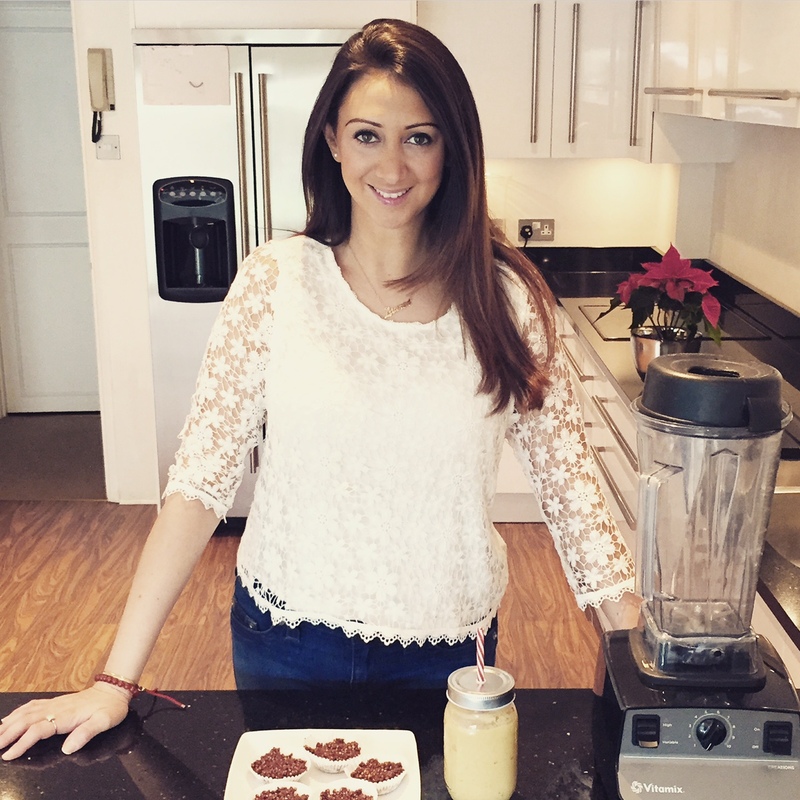 It’s always been in my fridge and I like to try and make variations of it, whilst keeping to the original Vaknine family recipe – simple and healthy. 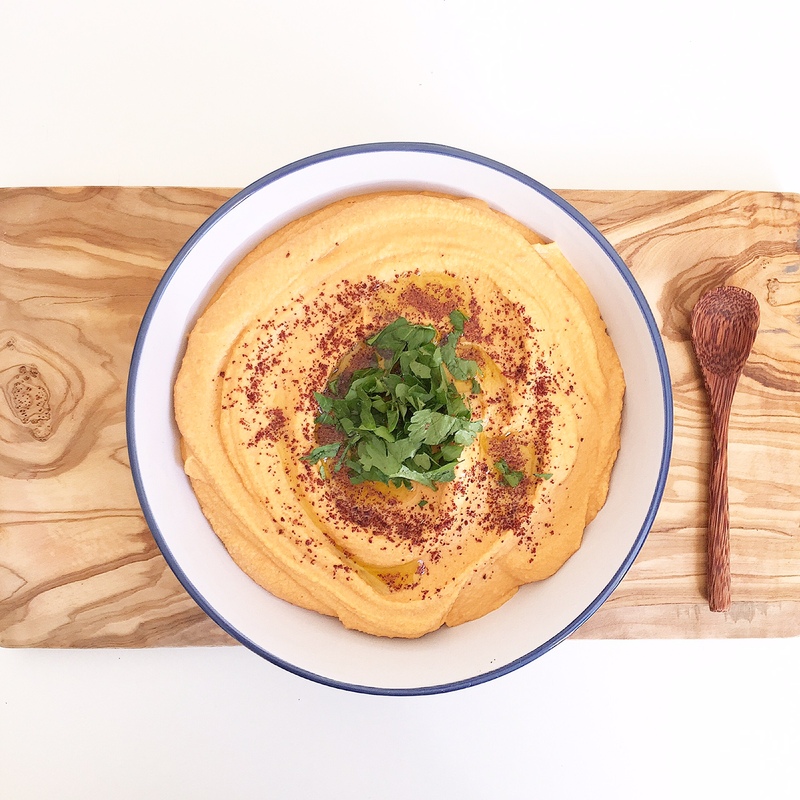 Chickpeas are an AMAZING source of protein so this is great as a post-workout snack or just as a mid-morning snack when you get a bit peckish, perhaps with some carrots, celery or some homemade crackers! Start by pre-heating your oven to 180. Cut the pepper up (removing all the seeds) into smallish pieces then place on a baking tray and roast for about fifteen minutes or until quite soft. Once ready, leave to cool for five minutes. While this is cooling, place all the other ingredients into a blender or food processor and blend until super smooth. Taste it, and add more cumin, garlic, lemon or salt if needed. Trust your instincts and your taste buds. Add red pepper to blender and blend again until completely smooth. Lastly, add to a bowl, drizzle a little olive oil, some parsley and a sprinkle of paprika or sumac on top. Serve, and enjoy!